Grow sales. Dominate your market. When you need a tissue, you ask for a Kleenex. When you make a copy, you think Xerox machine. What if when people needed your service they thought of your company first? Do you think that would make a difference to your bottom line? Visibility is more important than ability. You can be the best at what you do but if no one knows who you are it doesn't matter if you are good. What you need is visibility. Our goal is to let you do more of what you love by increasing your visibility and generating more sales opportunities. Pre-Construction Discovery - Through a series of meetings and research we identify where your company is now, where you want to go, what is and isn't working, and what it will take to get you to your goal. Blueprints - From our discovery sessions we present a blueprint with strategy and tactics to build an online presence and lead generation system designed to grow your business and beat your competition. Construction - With blueprint in hand we'll implement the strategies identified to increase your visibility, help you target your perfect customer and reach your goals. In 30 minutes we'll talk about the issues that are getting in the way of your business growth. We'll learn about you and your company. You'll learn about how we have helped companies like yours. Then, if it makes sense, we'll come up with a plan for moving forward. Sound good? Request a free strategy call today! Sales are down. I need leads NOW! I need to win more contracts TODAY! 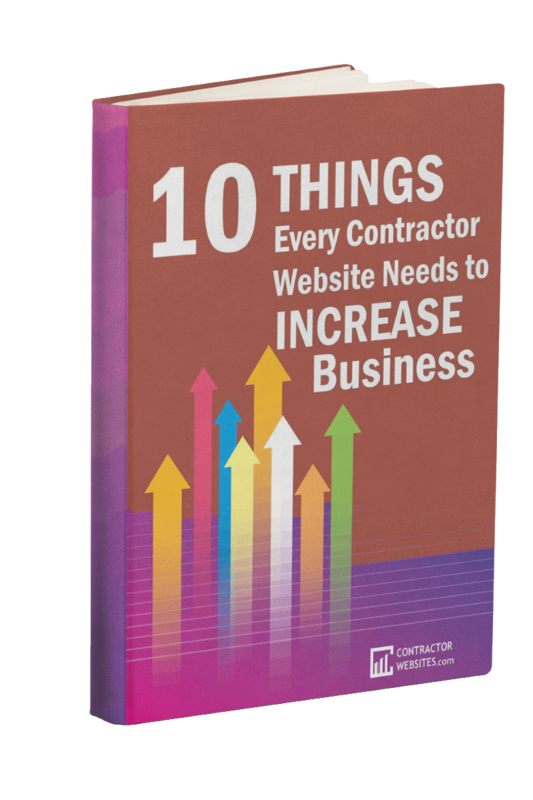 In this FREE Report you’ll learn the ten most important items that need to be on your website in order to grow your business. Missing any one of them can cost you thousands of dollars in time, energy and lost revenue. I started seeing a huge increase in business within two months of my website being up and running and it even landed me a job at the Royal Gorge. Sign me up for your mailing list. I want to receive tips and tricks to make my website work harder so I can work smarter. © Contractor-Websites.com / Guardian Solutions LLC. All Rights Reserved.